1506340237 -This comprehensive, trusted core text on media’s impact on attitudes, behavior, elections, politics, and policymaking is known for its readable introduction to the literature and theory of the field. 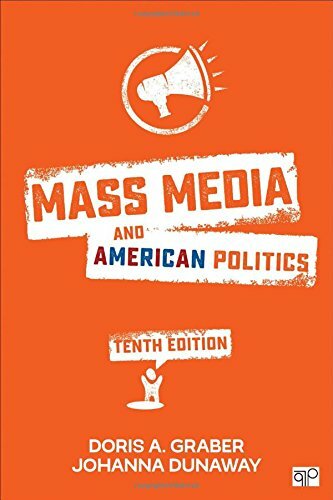 Mass Media and American Politics, Tenth Edition is thoroughly updated to reflect major structural changes that have shaken the world of political news, including the impact of the changing media landscape. It includes timely examples of the significance of these changes pulled from the 2016 election cycle. Written by Doris A. Graber-a scholar who has played an enormous role in establishing and shaping the field of mass media and American politics-and Johanna Dunaway, this book sets the standard.